Unblock Track is an addictive and challenging puzzle game. The target of the game is to get the red truck out of some difficult parking situations by moving the other trucks and busses out of the way. Move the red truck across the parking area by clearing his way from other vehicles. Unblock Trucks comes with 16 chapters divided in 3 different parking locations: county side, city and beach. There are many levels ranging from easy to very difficult. Move the different vehicles (trucks, jeeps, pick up, ice van, etc.) wisely to open a path to the exit. You can earn 3 stars for each level depending on how fast and in how many moves you manage to solve the puzzle. 2. Move the red one through the puzzle. Train your brain and your observation capacities. Try to finish the game in as little moves as possible and increase your IQ and logical thinking. 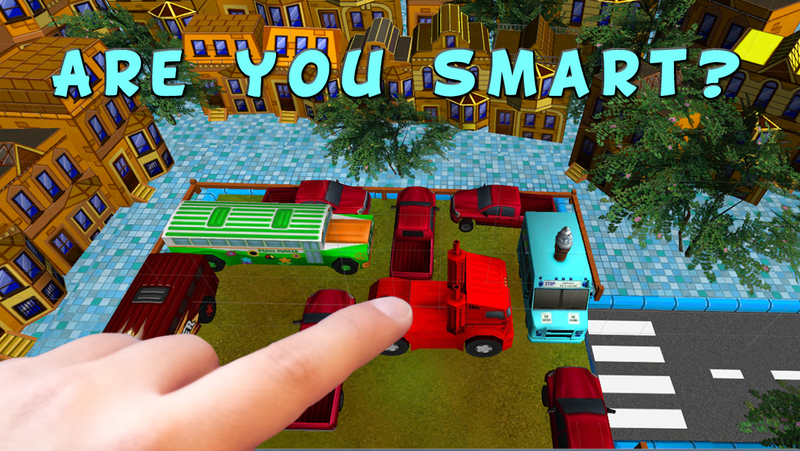 Unblock Truck is challenging and addicting 3D mind game designed to develop your sequential-thinking skills.